Welcome to the World, Baby Girl! 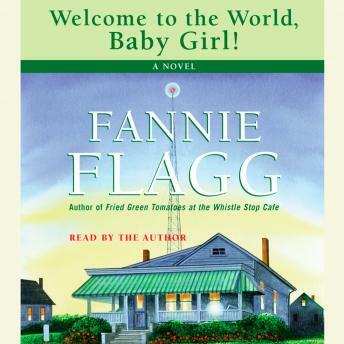 is the funny, serious, and compelling new novel by Fannie Flagg, author of the beloved Fried Green Tomatoes at the Whistle Stop Cafe (and prize-winning co-writer of the classic movie). Once again, Flagg's humor and respect and affection for her characters shine forth. Many inhabit small-town or suburban America. But this time, her heroine is urban: a brainy, beautiful, and ambitious rising star of 1970s television. Dena Nordstrom, pride of the network, is a woman whose future is full of promise, her present rich with complications, and her past marked by mystery. There are others, captivated by a woman who tries to go home again, not knowing where home or love lie.